July 2nd started like any other day for popular Allentown Mayor Ed Pawlowski but ended with his political career – and his personal freedom – in serious doubt. In an early morning meeting with Allentown Managing Director Francis Dougherty and Pawlowski’s Senate campaign manager Mike Fleck, the Mayor was first made aware of a possible FBI investigation into the city’s contracting practices, according to a report from Matt Assad and Emily Opilo of the Morning Call. Fleck excused himself from breakfast and returned to his third-floor office in the Corporate Center with Pawlowski following close behind. A heated discussion intensified on the third floor, before Fleck and Pawlowski got back in the elevator to leave. Between the third floor and the building’s exit, Pawlowski must have realized his run for U.S. Senate was over after patting down his best friend and finding Fleck was wearing a wire for the FBI. With Fleck’s cover blown, the FBI swooped in, serving Pawlowski with a warrant before he reached his car outside the Corporate Center. The FBI also seized the mayor’s iPad and cellphone, before raiding Allentown City Hall hours later. Court documents filed in the mounting legal case describe the actions of Public Official No. 3, who worked closely with staff to identify and solicit campaign donations from firms with a financial interest in Allentown. Public Official No. 3 swept his office for listening devices and used disposable “burner phones,” according to court documents. Though unnamed, Public Official No. 3 launched a campaign for Senate on Apr. 27, leaving no doubt as to the identity of the official. Pawlowski and Fleck had risen through the political ranks together, forging a bond based on trust and friendship. The two spent holidays and vacations together and even watched each other’s children, the Morning Call reports. As a grand jury sifts through over 250,000 documents provided since the July 2nd raid, many are calling for Pawlowski to step down. 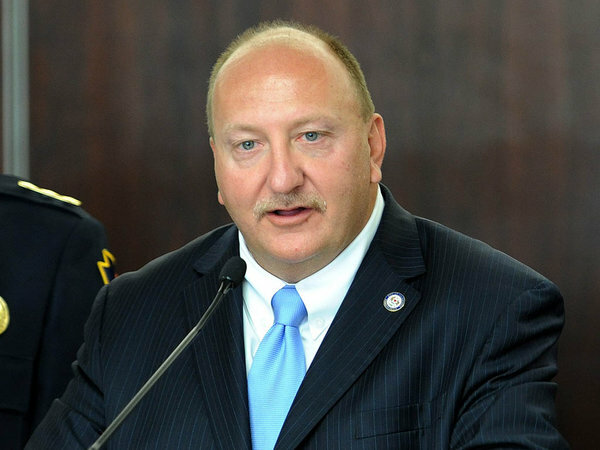 In a Sunday editorial piece, the Express-Times urged Pawlowski to resign, after Allentown property developer Ramzi Haddad pleaded guilty to conspiracy to commit bribery in federal court last week. Haddad admitted he raised money for Pawlowski’s campaign in return for leniency in city inspections. Pawlowski has so far not been charged with any crime. How does that differ from judges taking campaign cash from lawyers appearing before them?